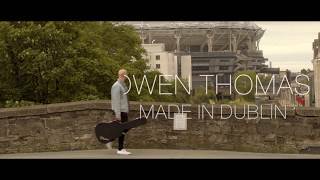 Eoin Thomas is a guitar/vocalist cover artist from Dublin. Music featured heavily in his up-bringing with his father, a music fanatic, introducing him to many different musical genres ranging from pop, to rock and roll, to traditional Irish, to classical. At the age of 15 Eoin began to play the guitar, teaching himself some of his favourite Beatles and Oasis numbers & over the next few years he played in a few local bands, mainly as a hobby, playing mostly covers. After finishing school Eoin went to work as an apprentice electrician. Once he had his qualifications he packed his bags and went back packing around Australia. He spent 2 years in Australia working mainly as an electrician and playing cover gigs as he travelled. On his return home, Ireland was now a country in recession / depression with unemployment set to reach devastating highs. So with the construction industry dead in the water and no jobs on the horizon he decided to turn his passion into a career and follow his dream of becoming a fulltime musician. 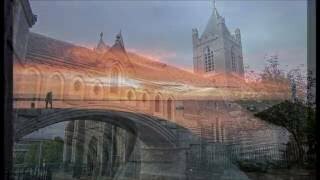 He began writing his own songs and playing gig nights around the bustling Dublin city music circuit. Eoin has recorded 2 EP’s with one of Irelands top producers Billy Farrell and just recently Eoin was invited to become a full time member of the very prestigious Irish and International Songwriters Guild. Eoin sights his main influences as The Beatles, Oasis, The Arctic Monkeys, The Strokes, Paolo Nutini, although there are many more. Infectious melodies coupled with extremely clever & evocative lyrics are his trademark. 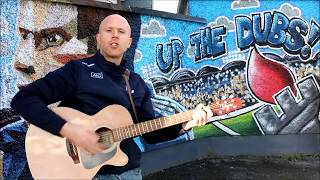 He’s currently gigging extensively around Dublin and can perform a full 2/3 hour ballad set which includes songs from The Wolfe Tones, The Dubliners, The Fureys, Christy Moore, Paddy Reilly and many more.